When Is An Inspection Required? 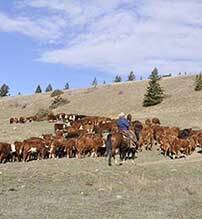 - Ownership Identification Inc.
cattle leaving the prescribed area of the province i.e. to Alberta, the States or the Fraser Valley. cattle leaving the non-prescribed area of the Province to the prescribed area or through the prescribed area. cattle being shipped from one brand inspection area to another and not going immediately to a sale at an outlet. Exempt from this are producers who without change in ownership move cattle for grazing between brand inspection areas in the prescribed area. cattle consigned to an outlet (saleyard or slaughterhouse) in the prescribed area will be inspected at the outlet. cattle entering a feedlot (as defined in the regulation) in the same brand inspection area of the Province. N.B. - it is illegal to move cattle in the prescribed area of the Province without a Livestock Manifest (Form 3). N.B. - inspection must take place when required whether animals are branded or not. provide a properly completed manifest (form 3) to accompany all livestock when being transported anywhere in or outside of the province, other than within the non prescribed Lower Mainland area. complete the manifest to the best of his/her knowledge and ability. It is the responsibility of the contributor, not the brand inspector, to complete the form 3 that accompanies all livestock. present the completed manifest and livestock previously clipped (when brands are poorly applied or diificult to read) to the brand inspector at the time of inspection for proof of ownership accuracy beyond reasonable doubt. be sure the name(s) on the manifest(s) appear the same as the name(s) the brand is registered in. If otherwise, then a properly completed bill of sale must be provided and shall serve as a means of proving ownership. when consigning Finance Association cattle the consignor must have the manifest made out in the name of the feeder / breeder association, whether the cattle are carrying the association brand or not. Otherwise an association release form must be provided. Violation of any of these and other regulations could result in detention of funds. when consigned to a saleyard in the prescribed area of the Province, inspection will occur at the saleyard. when transported to a slaughterhouse or feedlot in B.C. or Alberta or a public sale in Alberta, the horses must be inspected prior to transport. Any horse being shipped to a slaughterhouse or feedlot within or outside of BC must be brand inspected and travel with a BC Transportation Certificate (BC Livestock Identification Reg. Section 28.1). This applies to all horses whether branded or not. 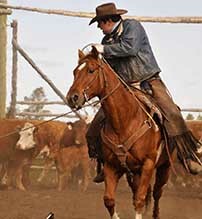 Horses going to an Alberta public sale (Auction) must be brand inspected before leaving BC and travel with a BC Transportation Certificate (BC Livestock Identification Reg. Section 28.1). This applies to all horses whether branded or not. It is highly recommended that anyone hauling horses within BC and to Alberta, other than for sale, to a feedlot or to slaughter, complete a Livestock Manifest (Form 3) fully before heading out, sign it and carry it with you. This form then becomes a legal document. It should be noted that in BC, Alberta and in most of the western states violators can be fined or charges can be laid if you do not comply with the appropriate legislation. For further information please contact the appropriate agency below.